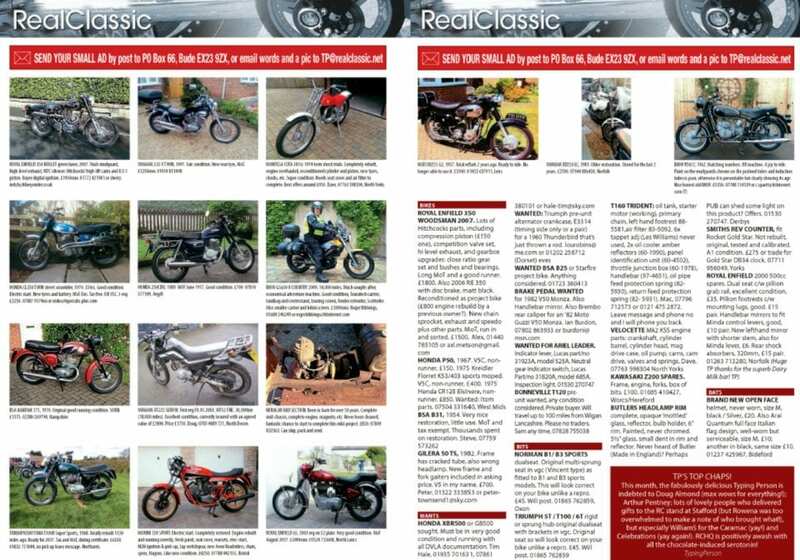 ‘Thank you for putting my ad in RealClassic magazine. I just wanted to tell you how successful it has been. I received my copy on Thursday at lunchtime and had a quick look at the ad. A couple of hours later I received a telephone call with a deposit to hold the bike. The guy collected the bike on Saturday morning, paid and rode off very happy. RC readers also have shelves stacked with new/old stock and garages crammed with rare / rusty relics. So if you’re on the hunt for a particular part to complete your rebuild, a want ad might just do the job. And once your project is complete, you’re welcome to sell off the surplus spares, which might just help another owner keep his classic bike on the road. Our Small Ads appear in the magazine each month. 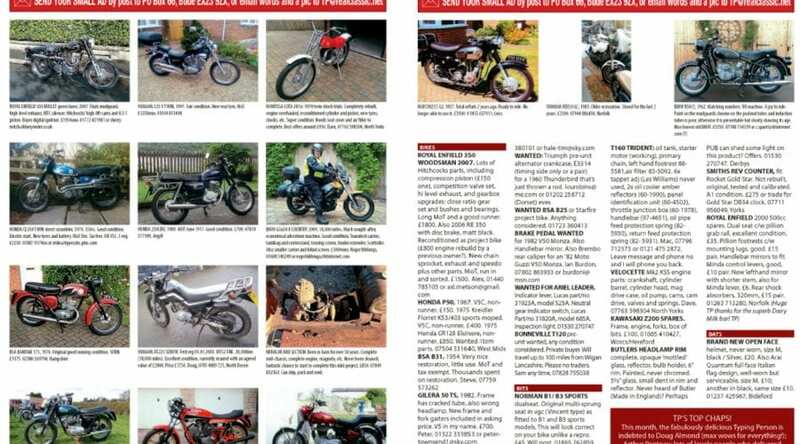 For best results, send a clear photo of the bike you’re selling: side on, not in shadow, ideally around 1MB file size. Tell people exactly what it is, but avoid giving your entire life history in the process. You’ve got 100 words max to sum up your motorcycle – so make it short and snappy (and we may need to edit your description to fit the caption to the photo). Don’t forget to include an asking price and a couple of contact methods. To place your free ad, just fill in the form below. RC’s Typing Person will normally reply within a couple of days, and confirm which issue your advert will appear in. Oh, and if you’re a trader then you need to chat to our ad manager rather than use this facility. Fields in bold are required, other fields are optional. Notice: By submitting your information, you agree to receive communication from Mortons Media Group Ltd about our publications, shows and services. We do NOT send spam, and do NOT share your personal information with any third parties. All advertisements must be for private sales only. Strictly no trade advertising. The advertisement copy provided by the Customer must be legal, decent, honest and truthful and comply with the British Code of Advertising Standards Authority and Mortons Media Group Ltd may amend the advertisement to ensure compliance with such requirements. Mortons Media Group Ltd is not able to verity the truthfulness of any statements made by a Customer in the advertisement copy. Accordingly, the Customer will be responsible for any losses, expenses or other costs incurred by Mortons Media Group Ltd which are caused by an untrue statement made deliberately by the Customer. In order to meet its production and other editorial requirements. Mortons Media Group Ltd reserves the right to hold back adverts until the following issue. Adverts only appear when space allows. In the event of the complete omission, cancellation or mismatch of an advertisement by Mortons Media Group Ltd, the Customer will be entitled to a re-run of the correct version of the advertisement, unless the omission, cancellation or mismatch by Mortons Media Group Ltd is caused by unforeseen circumstances beyond the reasonable control of Mortons Media Group Ltd, or breach of contract by the Customer or. 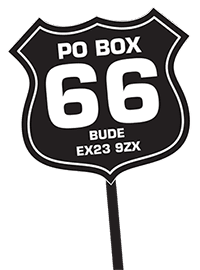 where the Customer has given special instructions about blanking out the registration number of the vehicle, increasing the probability of a mismatch. Mortons Media Group Ltd’s liability for breach of contract or negligence will not exceed an amount equal to the price of the advertisement or series of advertisements involved, provided that nothing in this clause will limit Mortons Media Group Ltd’s liability for death or personal injury caused by its negligence or that of its servants or agents. By placing a free advert order on this website, you agree to receive communication from Mortons Media Group Ltd about our publications, shows & our services. We do NOT send spam, & do NOT share your personal information with any 3rd parties. We will use your name & email address to send you an advert confirmation email and on occasion, emails containing offers relating to our publications & services. If you do not wish to receive these, you may opt-out of such emails upon receipt by clicking “Unsubscribe” link contained in the email.